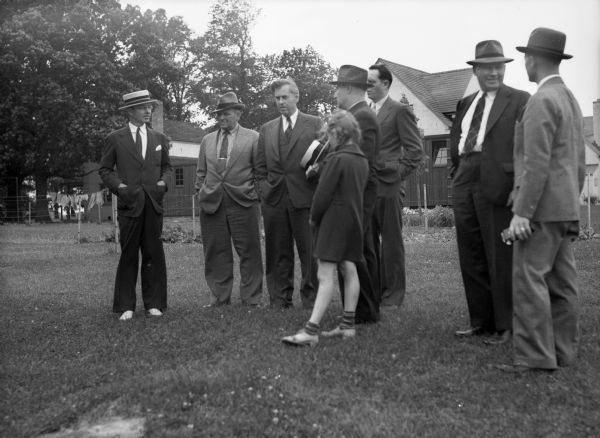 Henry Wallace meeting with a number of men and one young girl. A garden and residences can be seen in the background. Henry Wallace, then the United States Secretary of Agriculture, visited and toured Greendale.